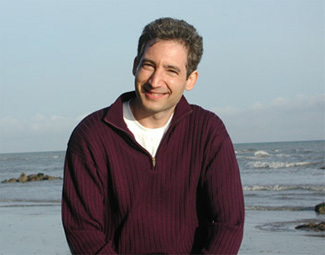 Brian Greene in lively conversation with Amir D. Aczel on string theory, extra dimensions, multiverse, and how probablistic quantum ‘fuzziness’ relates to the ‘definite’ outcomes of observation. 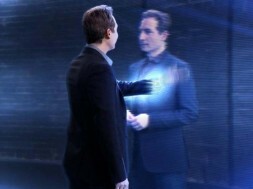 Brian Greene, really comes into his own in this kind of discussion. His enthusiasm and clarity of thought can run free without the flashes, bangs and gimmicky graphics forced upon his popular, and otherwise excellent, Nova Science shows on PBS in the United States. This format, guest and knowledgable host, works really well and is often more illuminating and entertaining than a lecture where the content is controlled. 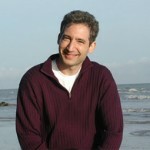 Aczel is an accomplished popular science author himself and he is more than happy to put Greene on the spot which both provides for entertainment as well as allowing us to hear the depth and scope of Greene’s thinking.